The membership of FACCT includes numerous organizations and individuals who have knowledge and ability to understand, communicate, and perform the responsibilities of livestock ownership and care. FACCT members are animal industry experts, supporters, and marketers whose interest in proper animal care and well-being is based on sustainable performance. Commodity Organizations – Tennessee’s major agricultural commodity associations, all of which have a vested interest in production of livestock with a reputation free from abuse or mismanagement. Corporate/Institutional – Entities across the state that provide goods or services to the livestock producers of Tennessee and thus have an interest in sustained production of quality livestock. 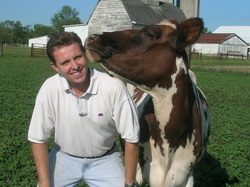 Supporting Organizations(Industry Partners)/Individuals – Businesses/entities (including educational, marketing, and veterinary) or individuals, including students, who recognize the significance of the animal care issue and willingly contribute to the collective efforts of the agricultural community to expect individual accountability. Corporate/Institutional - Multiple levels of participation and support.